Wellington, FL – January 13, 2013 – The second week of competition at the 2013 FTI Consulting Winter Equestrian Festival (FTI WEF), sponsored by The Mar-a-Lago Club, concluded on Sunday afternoon with a win for Charlie Jacobs (USA) and CMJ Sporthorse LLC’s Flaming Star in the $30,000 Mar-a-Lago Club Grand Prix. 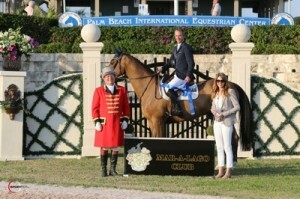 Week one of FTI WEF was sponsored by The Mar-a-Lago Club. 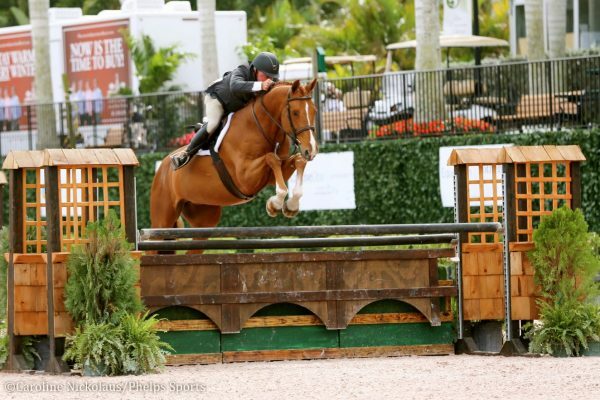 FTI WEF 2 runs January 16-20 and is sponsored by Wellington Equestrian Realty. The 2013 FTI WEF runs through March 31 featuring 12 weeks of world-class competition. Jumping a course set by Eric Hasbrouck, 46 horse and rider combinations contested Sunday’s class. Thirteen entries jumped clear to advance to the jump-off, and 10 went double clear. The fastest of those clear jump-off rounds belonged to Charlie Jacobs and Flaming Star in a time of 37.163 seconds. Alvaro de Miranda (BRA) and RD Jumping Higher, Ltda.’s Show Show finished second stopping the clock in 37.413 seconds. Reed Kessler (USA) and Ligist were third with a time of 37.708 seconds. Charlie Jacobs and Flaming Star. Photo © Sportfot. With the international growth of the FTI Consulting Winter Equestrian Festival, brand new competitors are arriving each year, including Alvaro de Miranda, of Brazil. Following the day’s class, Miranda also spoke about his mount, Show Show, who he has had for just four months. 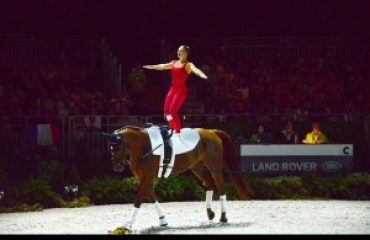 In the jump-off, Miranda was extremely fast, but knew that one of the eight riders to follow might catch up. “I knew that I was in the beginning of the jump-off. I had a good feeling when I came out, but I thought that one could beat me because I know that the classes are always very fast here,” he detailed. Charlie Jacobs and Flaming Star in their winning presentation with ringmaster Cliff Haines and Giovana Pirolo, Membership Coordinator at The Mar-a-Lago Club. Photo © Sportfot. 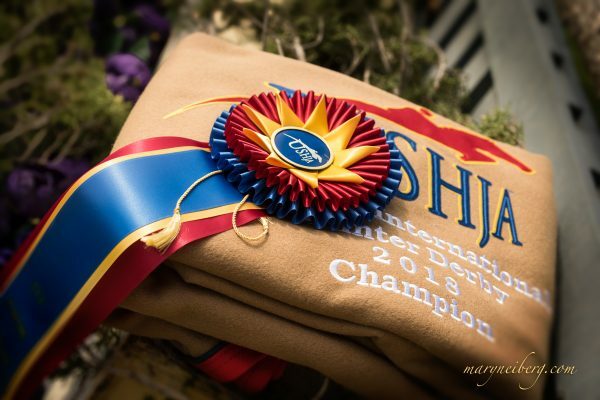 In other results from the International Arena on Sunday, Michael Hughes and Christina Fried’s MacArthur won the morning’s $10,000 Griffis Group SJHOF High Junior Jumper Classic. The $10,000 Animo USA Medium Amateur-Owner Jumper Classic saw a win for Santiago Diaz and Quel Pacha. Jessica Stitt took home both champion and reserve champion prizes with her geldings On the Hour and Taken in the FarmVet Amateur/Owner 3’3″ 18-35 division at the FTI Consulting Winter Equestrian Festival (FTI WEF). Competition for the division wrapped up on the last day of week one of the FTI WEF in the Equine Tack and Nutritionals Ring 6. On day one of competition for the division, Stitt and On the Hour placed first and seventh over fences and third under saddle. The pair secured the championship title on day two, jumping to seventh and first places. Stitt and Taken were named reserve champion after strong over fences trips on day two of the division. Stitt piloted her mount to first and second places on day two after placing second over fences and fifth under saddle on day one. Jessica Stitt and On the Hour. Photo © Anne Gittins Photography. 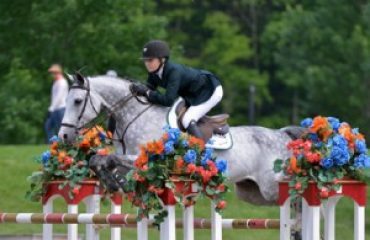 Stitt purchased On the Hour, a twelve-year-old dark bay Warmblood, last year and has already had a successful show career with him. 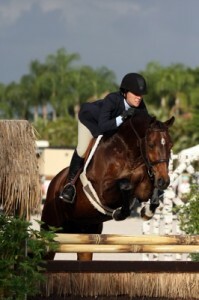 The duo was Reserve Circuit Champion at the FTI WEF 2012 in the Horseware Ireland Adult Hunter 3’3″ division. Holly Orlando also rode On the Hour to the Second Year Green Championship earlier in week one of the FTI WEF 2013. Stitt also had nothing but praise for her other mount, ten-year-old Dutch Warmblood Taken. “He can go from anywhere and jump any height, but he’s very similar [to On the Hour] in the way he goes. They’re both amazing animals and I’m just so lucky to have both of them,” Stitt stated. Stitt, a Chicago native, has been competing at the FTI WEF for four seasons and looks forward to flying south each winter to compete. “It’s a beautiful showground and it’s very well run. It’s just gorgeous! It’s great to be here all winter long,” Stitt described. On the Hour and Taken will both return with Stitt and trainer David Glefke for week two of the FTI WEF. 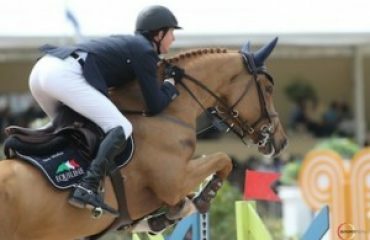 Stitt may move her winning pair up a level after their impressive performances that wrapped up week one of hunter competition at the FTI WEF. 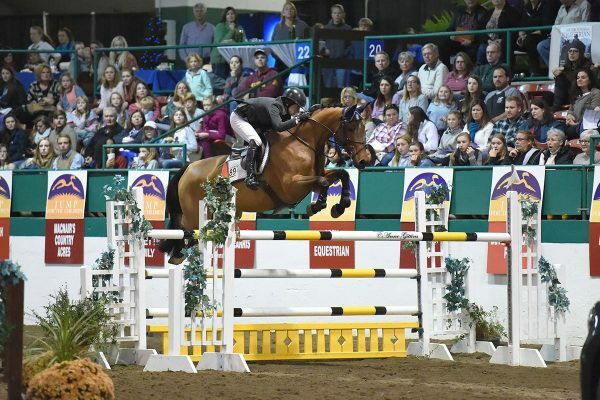 The FTI Consulting Winter Equestrian Festival will continue with its second week of competition, the Wellington Equestrian Realty CSI 2*, on January 16-20. 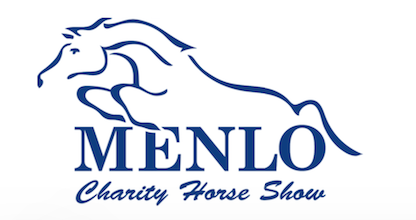 Highlight events include the $33,000 Ruby et Violette WEF Challenge Round 2 on Thursday afternoon, the $50,000 Wellington Equestrian Realty CSI2* Grand Prix on Saturday evening, and the $25,000 Suncast® 1.50m Championship Jumper Series Classic on Sunday afternoon. 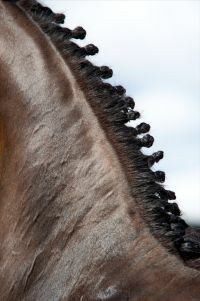 For the prize list and more information, please visit www.equestriansport.com. For full results, go to www.showgroundslive.com.